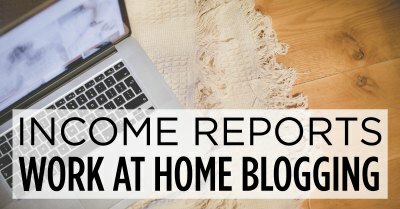 Welcome to my/our January 2018 Income Report – originally it was just me working the blog, but within 18 months of starting my husband was able to quit his job and now he helps as well! I started The Realistic Mama on Bluehost, 4 years ago on February 4th 2014. It’s crazy to think about all the places this blog has taken us, places we never expected and it all started with one small first step of faith. I’m just a regular mom who started a blog –​ I’m not tech savvy and I don’t even have a college degree. Last month, in January we made $12,366 working roughly 20 hours a week (usually I work 10-15 hours and Corey works 5-10 hours). There are some weeks we feel really inspired and work extra and other weeks we take completely off – the flexibility is fun! It wasn’t always this way. Before we started the blog, life was more “typical.” Before kids, we both worked, Corey full-time and I worked between 30-40 hours a week. We lived in an apartment while we were slowing saving up for our first house. 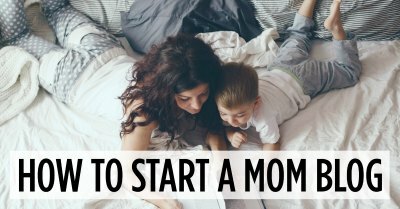 After our oldest was born I stopped working to be a stay-at-home mom. We kept a tight budget to make sure we could afford raising a family on one income. But we missed Corey sooooooo much! Watching him kiss our 9 day old baby and then head out the door for work broke my heart. Make extra money so Corey could take extra days off work each month and be with us. Make extra money towards a downpayment for our first house. Make extra money to travel. Create purpose for myself as a stay-at-home mom and help other people. Within 18 months, I was making more than we ever imagined, Corey was not only able to take extra days off work, he was able to quit his job entirely! And one month later we purchased our first house with 20% down and a 15 year loan. It was all unbelievable! Something we wouldn’t have been able to do without our blogging income. My passion now is to help other moms be able to stay-at-home with their kids. Or if you are already a stay-at-home mom for dad to quit his job and stay at home with you too. It’s absolutely possible. I’ve seen it done time and time again! When I first started blogging, I thought there was a limited number of people who could make money blogging. I was wrong. It turns out there are so many different ways to blog for profit that there is no limit or need to worry about over-saturation. If you’re ready to start a blog, I recommend starting one on Bluehost and then following this step-by-step tutorial (no tech knowledge required). 1. Advertising revenue – usually the first things that people think of when they think of bloggers making money. 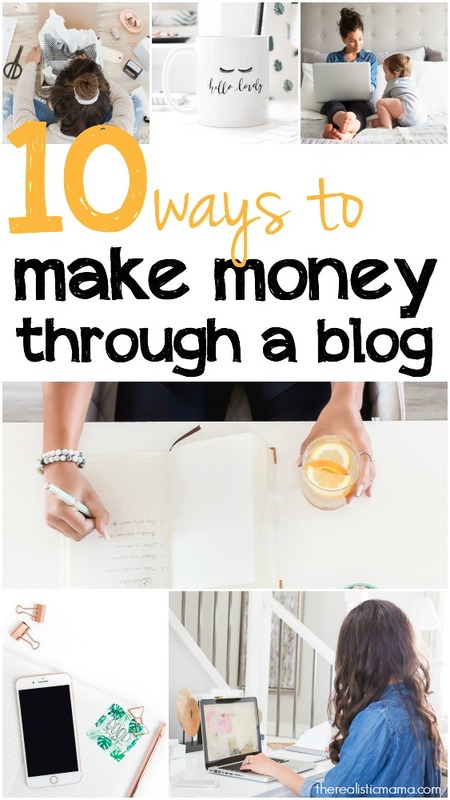 It’s a great way but there are also tons of bloggers who make AMAZING money without a penny coming from ads. 2. Affiliate income – by recommending the right products (products you truly believe in, help your readers and have great commission) this can be a huge income source. 3. Sponsored posts – partner up with companies you love, work their products naturally into posts and get paid for doing it. We’ve done posts for Target, Horizon organic, Sharpie, etc. 5. Products – writing a book, creating printables or courses, selling tangible items, etc. That’s just to name a few. The fun part is you can morph as you go and you never know where your blog will take you. I never imagined I would write a book (writing a book always sounded terrifying and completely daunting) but after 100+ blog posts it came naturally. In fact, I used several blog posts I had already written to create the first 40% of my book and then build the other 60% on that foundation. You’ll create a name and a place for yourself and begin to attract things you can’t even imagine. You might end up making a priceless connection that will lead to a future opportunity. Or you might end up selling your blog for hundreds of thousands. Or you might meet someone like Wendy Thomas. Meeting Wendy Thomas (from Wendy’s fast food restaurant) wasn’t something I ever imagined. But because of my blog, they reached out to us and I was able to have lunch with her and create a blog post for them to help support their Dave Thomas Foundation for Adoption. Not to mention, they covered all our travel and hotel costs for my family which turned into a wonderful free vacation. I continue to be shocked by the wide variety of ways different bloggers make money. 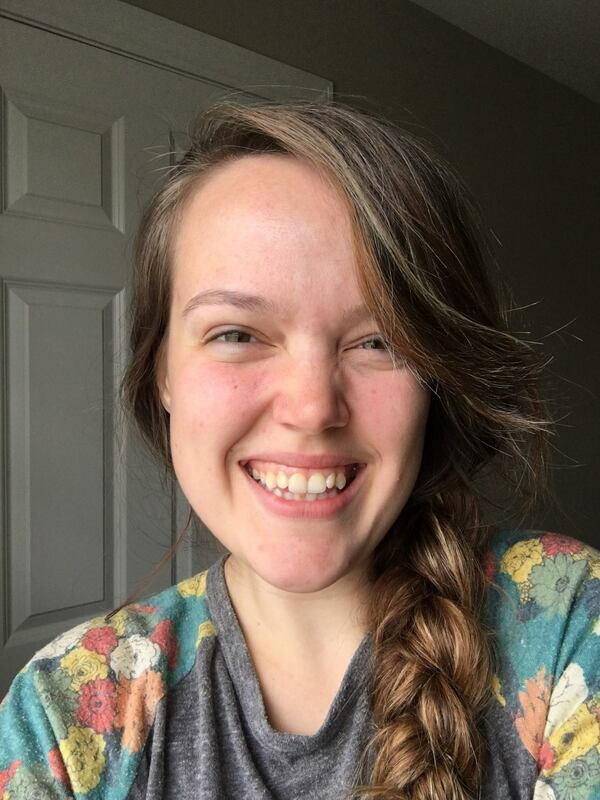 One lady I recently met, has a blog and a YouTube channel sharing yoga videos (and recently she was able to hire developers to create a yoga app with her). The cool part is, she’s a mom just like you and me! 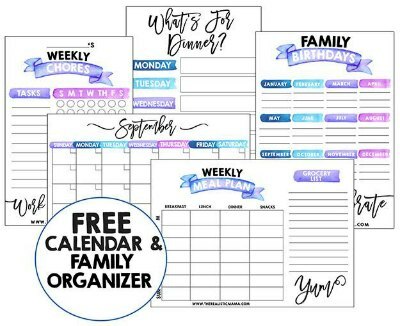 Another mom-turned-blogger makes her biggest money from a $7 printable workbook she created. 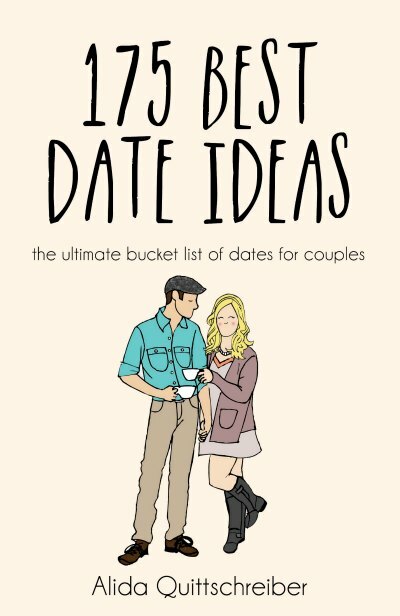 Or there are two good friends, who started a food blog together, they partnered up with their local grocery store and create menu plans on their blog that fit the weekly deals that grocery store runs and gets paid good money for it. They also recently used their love of cooking and recipes and published their own cookbook! Some bloggers make their money with a large amount of pageviews (100,000+ usually coming from Facebook or Pinterest) while other bloggers have way less pageviews and make the same (or more) money by creating a loyal niche following. There’s no right or wrong way. The possibilities are endless and this is your chance to think outside the box! I’d love to be your virtual friend and show you how. Starting a blog takes hard work and commitment AND results in an open gate of possibilities. The biggest perk for us has been the ability to make more than full-time income working part-time hours. This is a great course on affiliate marketing, Making Sense of Affiliate Marketing. We also have expenses and set aside some of our income for taxes. We had 358,128 pageviews in January. We worked roughly 20 hours a week. Looking for extra income? Ready to start a blog? Join my upcoming free webinar (I host them on a regular basis) all about how to start a blogging side business (no tech knowledge required). You’ll have the chance to start blog during the online workshop (start one as you follow along with my demonstration) – I’ll walk you through everything step-by-step! Use whatever is easiest for you! P.S. 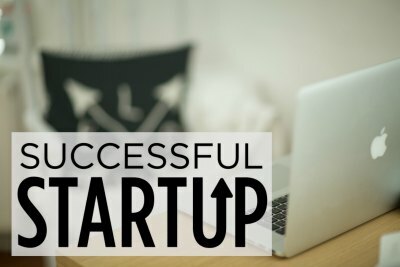 Important Note: Regardless of which tutorial you use, if you plan to start a blog for profit, it’s important that you own your blog through a self-hosted site (this means your site will look more professional, be easier to monetize and most importantly you will own your site and content). I recommend you start your blog on Bluehost (that’s where I started and where I encourage all my friends, family and you start too). If you use our link, you can get a special discounted price. You can start a blog for $2.95 a month (and a get a free domain). Make sure you use this Bluehost link. Leave a comment if you have any questions or thoughts. « Are you spending too much on diapers? 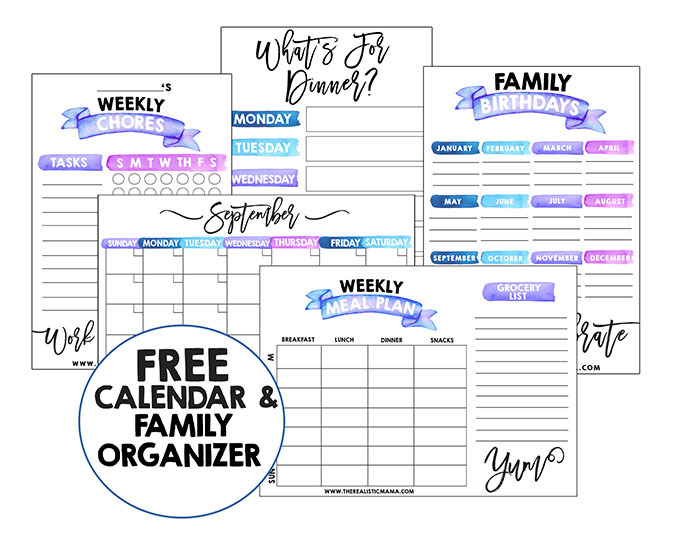 I have been wanting to do this for some time but I’m so nervous as to what or how to get my blog started and how to set up the ads and etc to make some kind of income. I’m 4 months pregnant with our 3rd child and I can’t help but think how awesome it would be to have my husband home more if I can just get one going . I just joined the newsletter list! Yayy I’m on my way! I will be taking any and all classes this beautiful lady offers…and no I’m not just pumping her up! Take it from me people, I’ve been trying to learn how to do this for a long time now. I’ve been swindled out of what little spending money I allow myself, however, today I feel like I’m actually making progress and it’s ALL because of ALIDA!! Blessings to you and your family for a long loving relationship and most of all PART TIME work with FULL-TIME fun! !